The Spangler Library on the first floor offers books, media, and resources for children from birth through 5th grade. 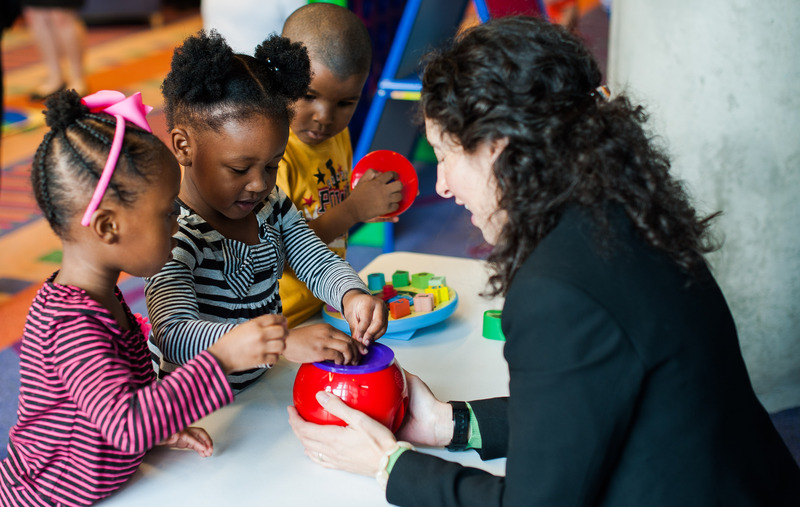 Special collections and resources for parents, teachers and caregivers are also an important part of ImaginOn’s mission. Staff members with expertise in early literacy, child development, and children’s and teen literature are always available to help find just the right book, resource, or information for all library visitors. A large collection of picture books, fiction and folk and fairy tales to "bring stories to life"